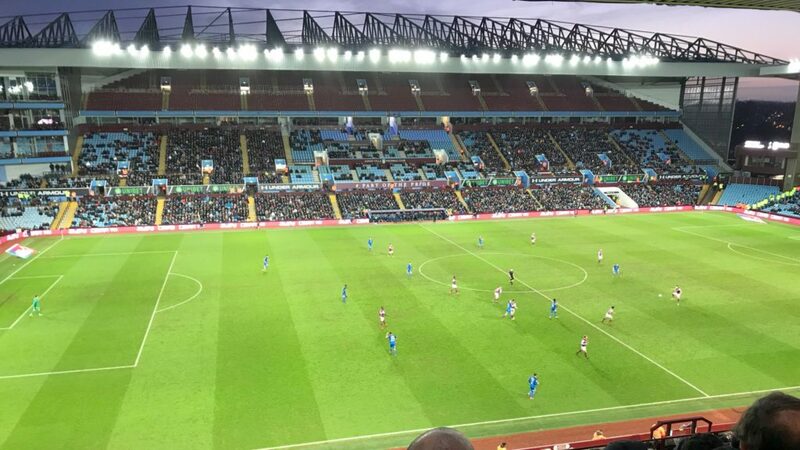 Report & Ratings: Aston Villa 1-3 Peterborough United – 2nd String Humiliation & FA Cup Exit. 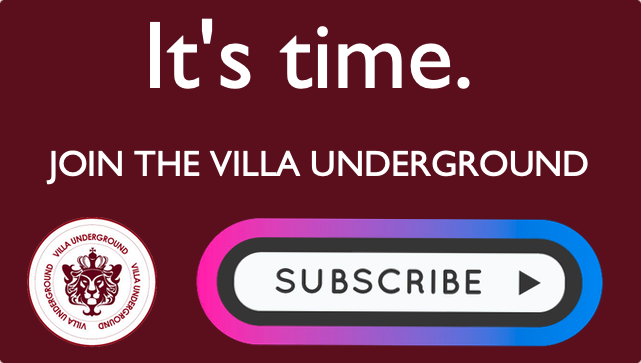 If we required a sobering assessment of both Villa’s fringe players and indeed, some of our academy prospects, it was delivered in ruthless fashion by Peterborough United. The 9th placed League 1 side came to Villa Park, trailed for more than half of the game, but constantly threatened Jed Steer’s goal. Whilst the game was a very open affair at times, it would be misleading to suggest anything other that the visitors not only came to play on the front foot, but ran out deserved winners over 90 minutes. With this, Villa were unceremoniously dumped out of the FA Cup at the 3rd Round stage. Villa emerged brightly, fashioning an early curling, dipping effort that sailed narrowly over the bar. We also started with promising tempo which was rewarded with a goal for Kienan Davis, who having collected a loose ball in the penalty area, held off a challenge before swivelling to drive home the games opener. It should have prompted the floodgates to open and been Villa’s platform to build a commanding lead. However, we pretty much stopped playing. This allowed Peterborough to regroup, settle and build confidence as chance after chance kept coming. As Villa lost momentum and seemed quite content with the single goal lead, the visitors probed and tested a decidedly dodgy defensive set-up. Compounded also by the absence of any defensive midfielder, it invited recurring pressure. The visitors could smell an opportunity – and must have gone it at half time wondering they may live to rue a a glut of chances smartly saved by stand in goalkeeper Jed Steer. A lively first half with Villa starting well. However, very casual as half went on with Steer making a number of smart saves. The second half saw Villa sleep-walk into an embarrassing exit from the FA Cup. With indifference from individuals on the pitch & a belated response from the bench, Peterborough simply continued doing what was proving so fruitful in the first half. Their endeavour and perseverance was rewarded with 3 deserved goals. As alarming as some of the individual Villa performances, as well as the 3 goals conceded, was the lack of any cohesion in our play. Whilst 10 changes are far from ideal, this is a group of professional footballers who train with one another, know one another’s strengths and weaknesses; they’re not strangers. Whilst in terms of Villa’s ambitions, the FA Cup sits secondary to that of promotion, to simply shrug off an embarrassing 3rd Round FA Cup exit misses the point. It also suggests that the game was meaningless, which is wasn’t, as it informed us about just how capable peripheral figures (and academy prospects) in our squad actually are. Maybe this will prove to be the most useful thing to take for Steve Bruce, who might reflect with some concern at the inability of a number of players he has brought to the club having any meaningful impact upon the fixture. The defeat also misses the opportunity to build upon wins against Middlesbrough and Bristol City. It might’ve not been straightforward, Peterborough were adventurous all afternoon, but it appears a resigned exit from the competition. Winning competitive games is something to instil, nurture and make our norm. Careless defeats to lower league opposition not only sap much needed momentum unnecessarily, but it makes us look pretty smalltime to outsiders [un uncomfortable truth I’m afraid]. And finally, there were 22,000 at Villa Park yesterday, many of them returning fans, dipping their toes back into supporting the club. It was also notable when glancing around the relatively full lower tiers how many of them were young fans, taking advantage of an excellent initiative to drive interest through £1 tickets for under 16’s. 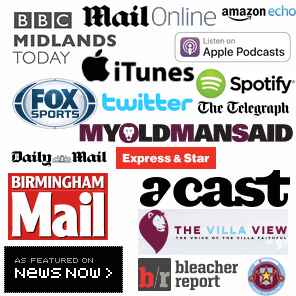 It proves there’s interest in Villa, expectation and also a new generation eager to follow this regions biggest and most decorated football club. It’s a shame that yesterday, so many on the pitch yesterday couldn’t muster similar interest. Today was a great opportunity for fringe players & youngsters to stake a claim – we learned much about them. Being dumped out of the #FACup isn’t ridding ourselves of a distraction, it’s actually an embarrassment. Easily Villa’s Man Of The Match with a string of smart saves. The uncomfortable truth is that Steer kept the scoreline respectable, as he was afforded next to no protection from the defence in front of him. Steer remains an able deputy for Sam Johnstone on this showing. Whilst de Laet’s movement and link up play down the right flank brought early success, Peterborough often exploited the space in between him and Bree at centre half. De Laet appears able cover, but didn’t suggest a recall to first team duties seemed imminent. Appearing at centre-half, Bree endured a torrid 90 minutes, being stretched and pulled all over the placed. Whilst Bree has a bright future at fullback ahead of him, there was no evidence on this showing that this role has much legs. Aside from a short burst forward which provided momentary excitement, a day to forget. Talking of days to forget, Terry cut a solitary figure on his return from injury. Barracked by the visiting fans from the off, Terry found himself fending for himself defensively. Whilst he won a number of key physical battles, next to no support from his defensive partners or central midfield exposed a lack of pace and match sharpness. Whilst not Terry’s fault, it underlined the importance of an able supporting cast around him. The Welsh full-backs patchy form this term was evident again as he struggled to cope over the 90. Looked stretched at times and was pulled around positionally as Villa struggled to contain Peterborough’s foray’s forward. The Spurs youngster couldn’t have foreseen such a wild loss of form since the beginning of the season. Anonymous for long periods yesterday, Onomah contributed little of note. Whilst young players experience variations in form, his collapse has been noteworthy. Whilst comfortable technically across the 90 and always showing for the ball, Villa depended upon the Irishman to drive the game. He was too casual at times and his final ball not nearly good enough. Not close to being at the standard required on the day. After a well taken goal against Bristol City, this was another chance to have a look at the Icelandic international who has realistically shown very little since his arrival. It’s hard to find positives once again after a lacklustre performance, where he struggled to make any impact. Unless there is marked improvement, it’s difficult to see what role Bjarnason can be deployed in to any great effect in this Villa side. The fact is that he was utterly dismal against Peterborough. Had a brief 10 minute run out to little effect as the game slipped away. An opportunity missed by Bruce to give the much heralded prospect some game time against tidy, competitive opposition. 45 minutes on a return from long term injury for Green. Moved the ball well at times but visibly short of match sharpness which is to be expected after a long lay off. A welcome option to have back in the squad who was by no means the worst on show yesterday. Replaced Green at half time and delivered another concerning reminder of his ability to be completely anonymous. For a player with all of the technical attributes to do well, it’s alarming how little impact or effect upon the game that he had. Outshone by his opposite numbers in the visitors midfield, Lansbury did nothing to stake a claim for a recall to the first team. A baffling footballer. A welcome goal after a further demonstration of his strength, but was isolated for long periods. Held up the ball well on a number of occasions, releasing play back into midfield, but let down by lack of service and support alongside him. An at times lively display, but realistically only contributed in brief moments. Comfortable to come deep for the ball, but very much a young, unrefined performance. O’Hare remains very much an interesting and exciting talent, but on this showing demonstrated why he remains in the periphery of the Villa squad. One to watch develop. Came on as Villa looked to be sounded slipping towards defeat, tried to effect the game, but his introduction only invited more pressure onto our beleaguered defence. Was positive with the ball for the ten minutes on the pitch he was afforded. 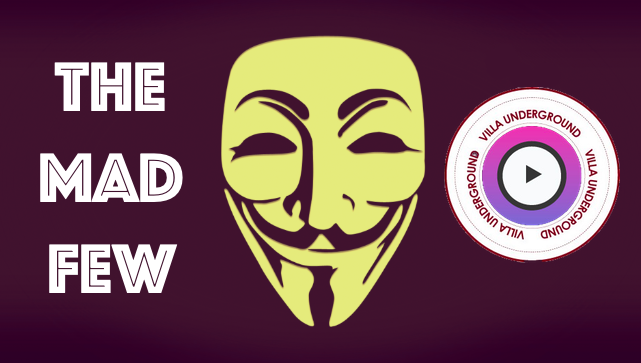 Villa Player Ratings – Aston Villa 3-3 Sheffield Utd – Highs & Lows on a crazy night at VP. Analysis: Aston Villa (2) v (2) Fulham.